The British Board of Film Classification has released a list of bonus material that will be included on the Thor: The Dark World Blu-Ray. Among the bonus material is a new Marvel One-Shot called All Hail The King. There is no description of what the Marvel One-Shot: All Hail The King will be about, but we have a pretty good idea from previous reports. 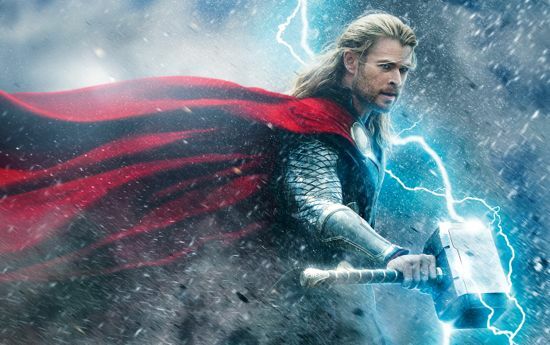 Spoiler Warning: This article contains information about the ending of Thor: The Dark World. Based on how Thor: The Dark World ended, the first inclination might be that the Marvel One-Shot: All Hail The King revolves around Loki. At the end of Thor: The Dark World, Loki had replaced Odin as King of Asgard. The Marvel One-Shot could tell the story of how Loki stole the throne and what happened to Odin, as that part all occurred off-screen in Thor: The Dark World. It would make sense for Marvel Studios to do a short film centering around Loki given his popularity, but we actually don't think that is the route they are going. Another and probably more likely possibility is that the king that is being referenced is Ben Kingsley. Back in October, Ben Kingsley revealed that he had just finished working with Marvel Studios on a secret project. With a little research, we were able to confirm that the Marvel One-Shot: All Hail The King filmed in August and September of 2013, which would match up closely to the time period when Kingsley indicated he had done another project for Marvel. The Marvel One-Shot: All Hail The King will likely feature a story revolving around Trevor Slattery, who is the actor that was hired to play The Mandarin in Iron Man 3. Here is a list of the other bonus features from the Thor: The Dark World Blu-Ray: ALL HAIL THE KING - A MARVEL ONE-SHOT, A BROTHERS JOURNEY - THOR & LOKI (PART 1), A BROTHERS JOURNEY - THOR & LOKI (PART 2), EXCLUSIVE LOOK - CAPTAIN AMERICA: THE WINTER SOLDIER, SCORING THOR: THE DARK WORLD WITH BRYAN TYLER, DELETED & EXTENDED SCENES: EXTENDED CELEBRATION SCENE, DELETED & EXTENDED SCENES: JANE LEARNS ABOUT THE AETHER, DELETED & EXTENDED SCENES: LOKI: THE FIRST AVENGER, DELETED & EXTENDED SCENES: THOR AND FRIGGA DISCUSS LOKI, DELETED & EXTENDED SCENES: DARK ELVES PREPARE FOR BATTLE, DELETED & EXTENDED SCENES: EXTENDED VANAHEIM SCENE, EXTENDED CELEBRATION SCENE COMMENTARY BY ALAN TAYLOR & KRAMER MOREGENTHAU, JANE LEARNS ABOUT THE AETHER COMMENTARY BY ALAN TAYLOR & KRAMER MOREGENTHAU, LOKI: THE FIRST AVENGER COMMENTARY BY TOM HIDDLESTON, THOR AND FRIGGA DISCUSS LOKI COMMENTARY BY KEVIN FEIGE, DARK ELVES PREPARE FOR BATTLE COMMENTARY BY KEVIN FEIGE, GAG REEL, and THOR THE DARK WORLD (FEATURE WITH AUDIO COMMENTARY).